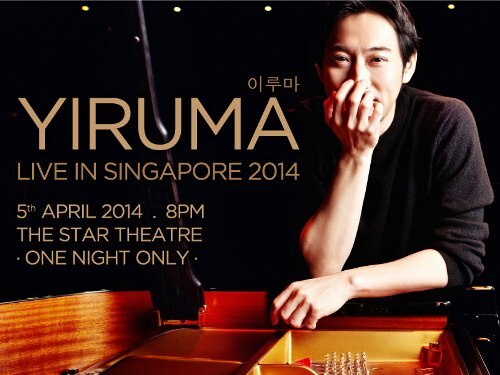 Pianist and composer Yiruma is performing for the first time in Singapore at The Star Theatre on 5 April 2014. Tickets are priced at $168, $128, $108, $88 and $68. There are box seats going at $168 each. There are also Restricted View seats going at $38 (but I really don’t recommend these seats). All prices are in Singapore dollars and doesn’t include the $3 booking fee. Tickets are on sale now at Sistic and you can click here to get your tickets to watch Yiruma live in action at the concert.